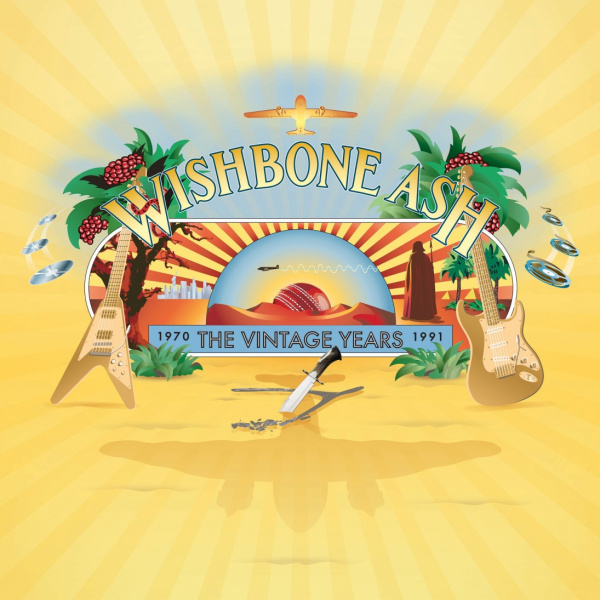 Wishbone Ash's The Vintage Years 1970-1991 is a strictly limited deluxe 30 CD box set. 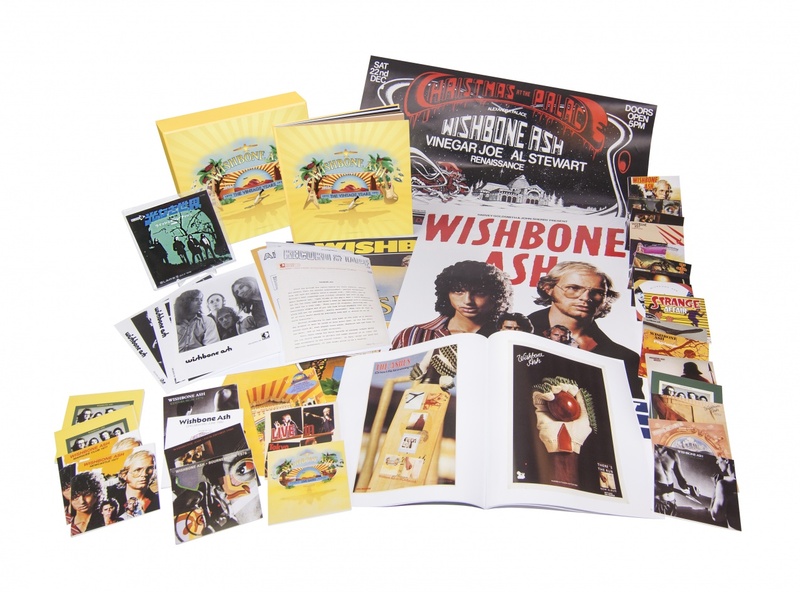 Authorised by all of the original band members, this beautifully packaged tribute to one of Britain’s finest Rock bands is loaded with rarities and memorabilia, and includes a lavish 156-page hardback book written by Classic Rock's Dave Ling. A third of the collection features previously unheard and unreleased material. Strictly limited to 2500 copies, all discs have been remastered. Along with copious extras - posters, poster book, 7" single and more - the set includes individually signed photos of each band member. Released on Madfish, the label behind the award-winning Family, Steve Hillage and Small Faces box sets. Founding member Martin Turner says, “We decided to give it all to the wonderful Pete Reynolds whom I believe has done a brilliant job of mixing and remastering a massive collection of work. It’s almost like having one’s whole musical life in one box. It certainly represents the most comprehensive Wishbone collection that I know of and I hope you enjoy it." * Brand new cover artwork designed by Colin Elgie, the designer of the award-winning Live Dates sleeve artwork. * All 16 studio albums, featuring bonus material including rare album outtakes, B-sides and 12 previously unreleased studio tracks, presented in mini-gatefold sleeves (three of the albums are currently out of print, Nouveau Calls, Here to Hear and Strange Affair). * 3 original live albums: Live Dates, Live Dates Volume Two and Live in Tokyo. * All music has been remastered from the original multitrack and ¼" tapes, sourced from Martin Turner and Andy Powell's personal collections, and from the Universal Music and Atlantic archives. * A 156-page hardback book written by Classic Rock's Dave Ling, including personal photos, rare posters and flyers, a 2017 interview and collector's memorabilia. * A 36-page poster book, covering the early years through to Here to Hear. The Front Page News tour – Empire Pool Wembley 1977. * A facsimile MCA debut album promo pack. * A 7" flexi disc for the single Blind Eye, the first of the 11 Japanese singles series. * Individually signed photos of each band member.